Canada-facing online sportsbooks owe most of their popularity to the fact that they offer free bets. They attract a large number of new online bettors. They encourage new bettors to start placing bets on sports events. You will find several free bets and welcome bonuses at the online sportsbooks recommended at Betting.ca. But we urge you to read the terms and conditions before accepting any of them. Accept free bets and welcome bonuses only at licensed and reputed online sportsbooks such as the ones recommended on this website. We urge you to beware of rogue online sportsbooks that entice new players with enormous bonuses and then vanish with their hard earned money. As long as you stick to the online sports betting sites recommended at Betting.ca, you are absolutely safe. Here is a list of top free bets that you can grab anytime by just visiting the sports betting sites and creating a new account. Can Canadian bettors claim free bet bonuses? Are there different types of free bet bonuses? What is Bet Match Free Bet? What is a No Deposit Free Bet? What is a Money Back Free Bet? If I win using my Free Bet, can I withdraw the money right away? Do I get both the stake and the winnings, or just the winnings? What if the operator allows me to keep both the stake and the winnings? How do I claim a Free Bet Bonus? Are there any other restrictions on Free Bet Bonuses? You are going to come across many different online betting sites who will offer you free bets in an attempt to get you to sign up to their respective sites, in this section of the Betting.ca website we shall take a look at the many different free bets and free bonus offers that can be found at all of our rated betting sites. Before you just start mopping up as many free bets as you possibly can get your hands on, we should point out that you really do need to stick to the premier online betting sites, and not just sign up and start wagering at the first betting sites you comes across simply to get your hands of their free bets and bonus offers. Many online betting sites are neither licensed nor regulated and as such you will be taking a risk when you gamble and place your wagers at those types of betting sites. 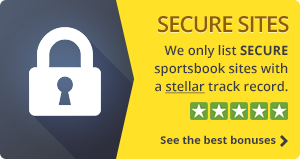 However all of our featured betting sites are fully licensed and have additionally been fully vetted by ourselves to ensure that their free bets are fair and genuine, and should you win with a free bet then they will pay you out your winnings without any fuss of hassle! If you have never claimed a free bet before, here are some step-by-step instructions to help you get started. Identify a licensed and well-regulated online sports betting site and register a new account there. Now make a deposit in Canadian Dollars. Almost all the sportsbooks recommended here support CADs. Now place a bet on any sporting fixture or sporting event. As soon as you do this, you will qualify to receive a free bet. If you win your free bet, you can keep your winnings and use them as you please. You can use them to place more bets or withdraw them to your bank account. Most sports betting sites do not allow bettors to withdraw their free bets. They can withdraw only the winnings. Read all the terms and conditions associated with your free bet in order to avoid disappointment in future. To claim the vast majority of free bets offered at our betting sites, you will first have to register a new account with that betting sites, make a deposit and then place a wager on any of their permitted sporting events or sporting fixtures. Once you have made this qualifying initial bet using your own money, then the betting sites will often instantly credit your account with a free bet which will be equal to the value of your initial bet amount, and then you can use this free bet credit to place a wager on any sporting fixture you like, subject to that betting event being listed in the rules of that particular free bet bonus offer. Should your free bet be a winning one then you will receive your winning payout for that successful bet and can do with those winnings as you please, please be aware that some sites do not payout the stake amount of the free bet you only get to keep the actual winnings and not their initial free bet stake. In regards to all free bets and free bonus offered by any betting site it will pay dividends for you to first read through the terms and conditions of the free bet or bonus offer, for this will enlighten you on just which sporting fixtures you are allowed to place your free bet on and also in those terms and conditions will be any additional rules, so always read through them! 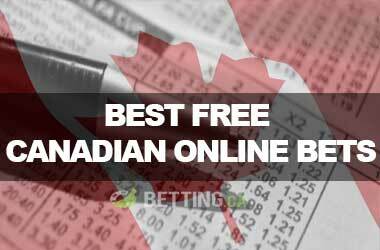 Canadian players can benefit from a range of Free Bet Bonuses that are offered by online betting operators. Here’s everything you need to know about free bets. 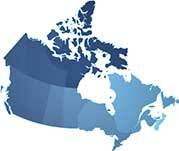 Online betting is a competitive market and there are many operators that offer sports betting services to Canadians. Each of them is trying to find ways to attract more customers and keep the existing ones. In order to achieve that, operators employ a range of techniques. Offering bonuses and promotions is one of the most successful tactics and that is why at every reliable betting site you will find a range of them. Most bonuses are offered as free bets. Free bets allow you to make a wager and eventually win, without risking any of your own money. Yes, if an operator offers betting services to Canadians, it is very likely that it will also allow them to claim free bet bonuses. Once you register an account at an online sportsbook and log in for the first time, you will be able to see all the bonuses that are available to you, including the free bet bonuses. Operators can use different names for their free bet bonus offers, but generally we can distinguish three types of free bets: bet match free bet, no deposit free bet and money back free bet. This is a free bet that is usually awarded to players who made their first deposit and placed their first wager. It is very simple, as soon as you bet a certain amount of money at a betting site, let’s say $20, the operator awards you extra $20 as a free bet. In this case, you get a free bet without even having to make a wager first. Most operators that offer such free bet will award you the free bet as soon as you register an account. This is a free bet that is awarded after you place a losing bet that meets certain criteria. For example, some operators offer a free bet on all parlay (accumulator) bets where all but one selections win. If you wager $10 on such a bet and you lose, you will get a free bet, usually in the same amount. If the bet has a withdraw turnover, you will have to complete that condition before you’re able to make a withdrawal. If the withdraw turnover is, for example, 3 times the free bet bonus, it means that you will have to wager an amount 3 times the amount you’ve received as a free bet before you’re allowed to make a withdrawal. In some cases, the withdraw turnover requirement might also include the initial wager that you have placed. If the free bet is $20 and the turnover requirement is 3 times, you’ll have to wager $60, and if the deposit was also $20 and you need to complete a turnover requirement 3 times the bonus and the deposit amount, then you’ll have to wager $20+$20 x 3, which is $120. For some bonuses, you only get to keep the winnings and not the initial free bet amount. For instance, if you get a $10 free bet, and you make a wager at odds 3.00, you will only get $20, not $30. If you receive such a bonus, it would be wise to place a bet at higher odds. If you place a bet at odds lower than 2.00, you will receive an amount even smaller than the initial bonus. In such cases, there will be other conditions. In most cases, you will be required to place a wager of higher odds. Otherwise bettors will be able to place a bet at very low odds and then practically convert the free bet into a winning amount. It generally depends on the operator and the bonus offer. In some cases the bonus is awarded automatically and you will see the free bet amount in your account as soon as you meet the criteria, in other cases, you will be required to opt in in order to receive the bonus, either by sending an email to customer service, or by using a bonus code. In some cases, operators can specify their terms and conditions, which will in turn disallow certain bettors to claim a bonus. For example, players who use a certain deposit method might not be eligible to receive a particular free bonus. Make sure that you read the bonus terms and conditions carefully and if you are not sure whether you are eligible, it is wise to contact the customer support team of the betting operator and ask them directly. Also, it should be noted that some bonuses are restricted to just one bonus per player. Sportsbooks usually don’t allow people who live on the same physical address, or use the same computer or the same IP address to claim the same bonus, i.e. when it has been claimed once, the second person isn’t allowed to claim it.